Swedish photographer Anders Petersen (Stockholm, 1944) is renowned for his personal and direct approach to capturing his subjects. In 1967 he started taking photos at Café Lehmitz, a dodgy bar in the heart of Hamburg's red light district. The bar's clientele was mainly comprised of delinquents, transvestites, thugs, pimps, junkies and outcasts. 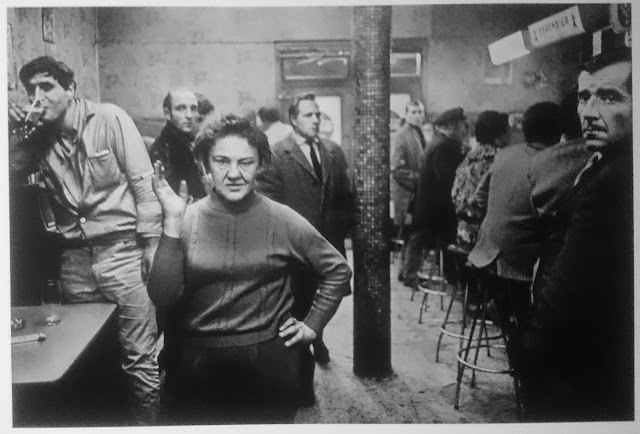 Petersen slowly became friends with the bar's regulars and photographed them for a three year period. In 1970 Petersen's first solo exhibition featured 350 photographs nailed to a wall at Café Lehmitz. Part of PhotoEspaña, this revisiting of Café Lehmitz is held CentroCentro Cibeles in Madrid until 17 September 2017. Anders Petersen: Café Lehmitz from ArtworldNow on Vimeo.